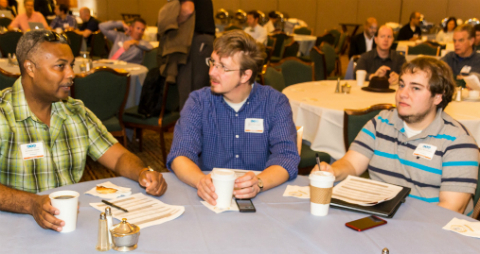 The University’s information technology professionals enter 2015 informed about many of the latest technologies and IT efforts across campus thanks to the 2014 CTC Retreat. 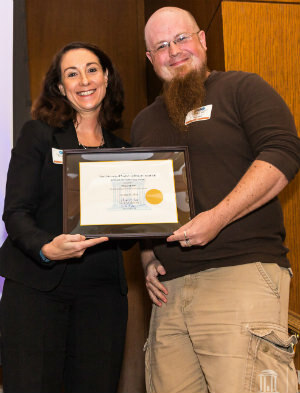 The CTC full-day conference and awards ceremony at the Carolina Club in late October drew 250 attendees from 80 departments. That’s up 25 percent from the 200 people who attended in 2013. Participants selected from among 24 breakout sessions on such topics as Carolina CloudApps, new campus IT security initiatives, ITS Web Services’ WordPress sites and the University’s transition to Voice-over-Internet Protocol telecommunication services. 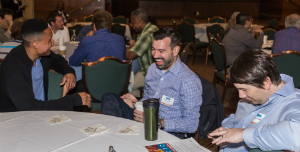 The 28 speakers at the CTC Retreat included a keynote presentation by Michael Schinelli, Chief Marketing Officer at Kenan-Flagler Business School, and opening remarks from ITS CIO Chris Kielt. CTC provides resources to help IT professionals at UNC-Chapel Hill in their daily work and professional development. The Retreat is just one of a variety of events and ways by which CTC enables communication among the campus tech community. At the Retreat, attendees learned about many new campus tech initiatives and heard updates on many others. Frances Dykstra, Associate Vice Chancellor of ITS Enterprise Applications, shared the latest on how the ConnectCarolina system was doing in the first three weeks since the Oct. 1 go live of finance and human resources/payroll. 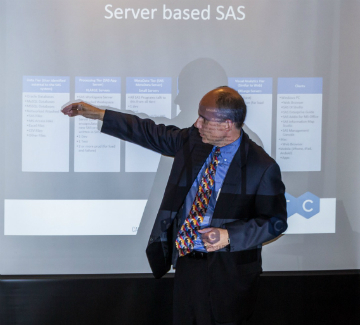 ITS Middleware Services unveiled features and key benefits of its new Carolina CloudApps service. ITS Web Services Manager Billy Hylton informed attendees that his unit now runs 8,000 WordPress sites that collectively received 50 million page views over the past year. Cheri Beasley, IT Manager of ITS Communication Technologies, meanwhile, apprised the group that ITS has rolled out campus-wide unified messaging – the feature that enables faculty and staff to receive audio voicemail messages by email.